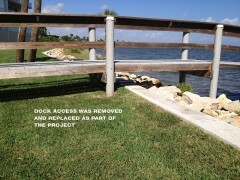 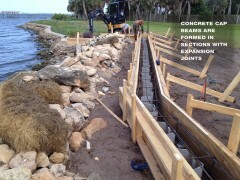 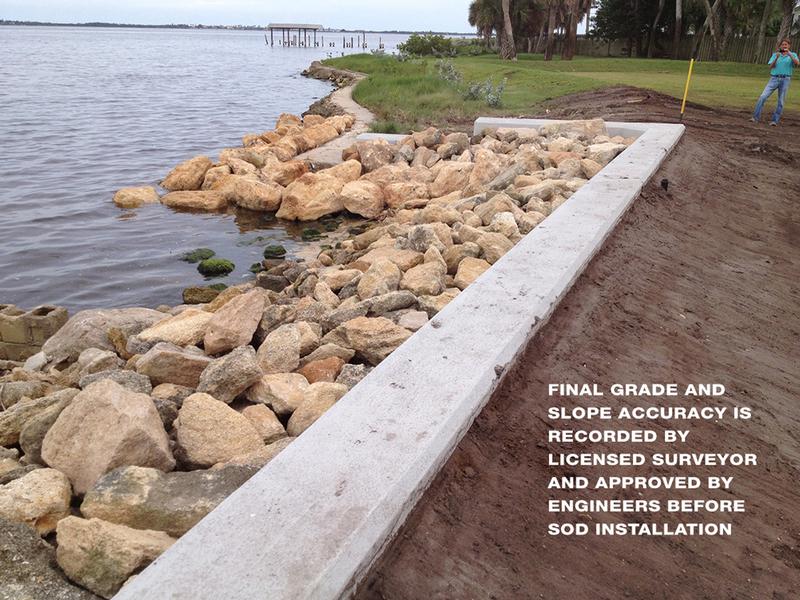 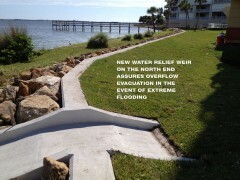 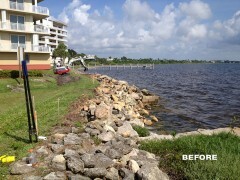 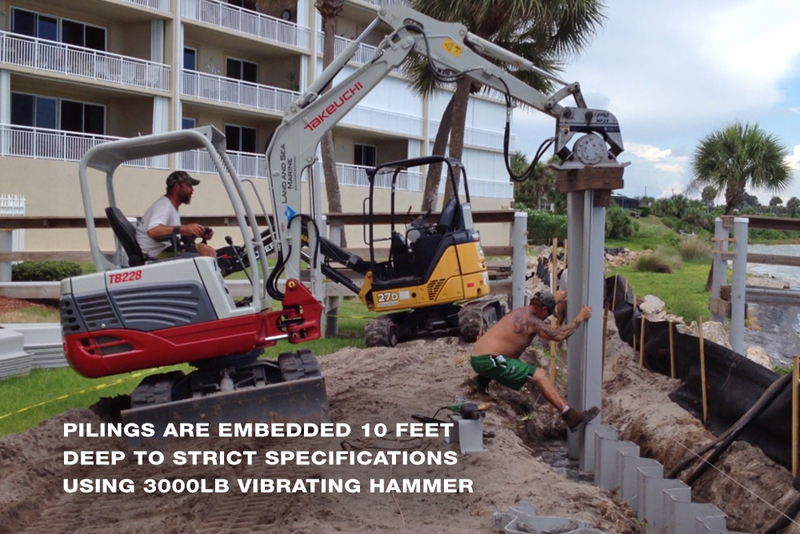 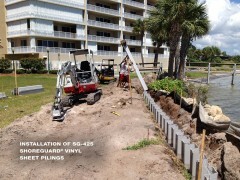 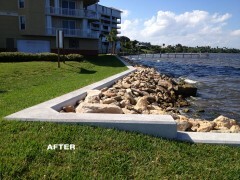 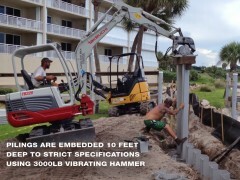 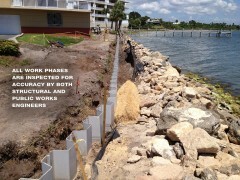 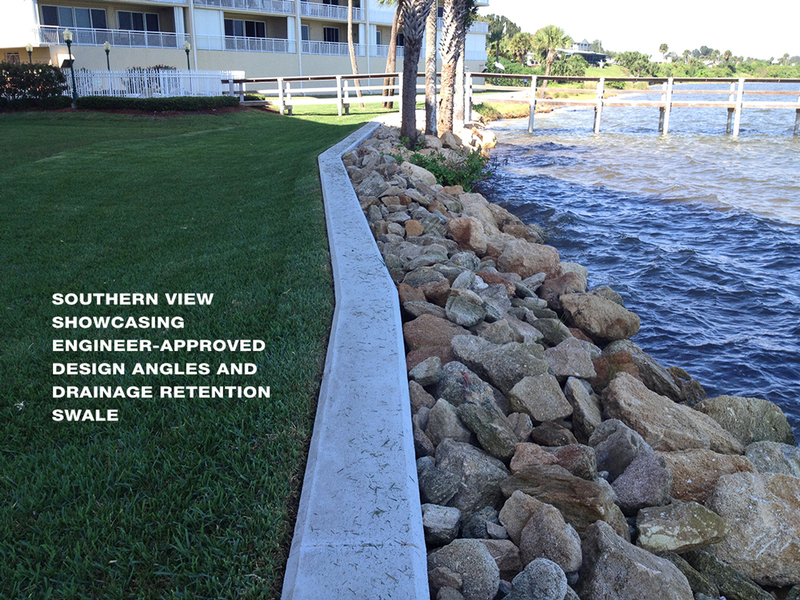 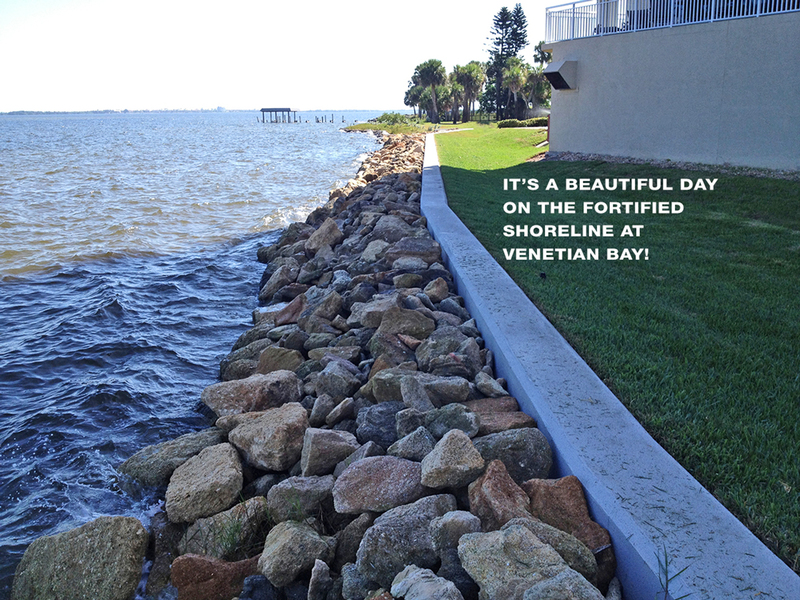 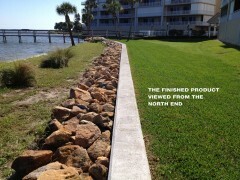 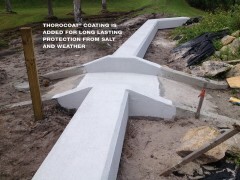 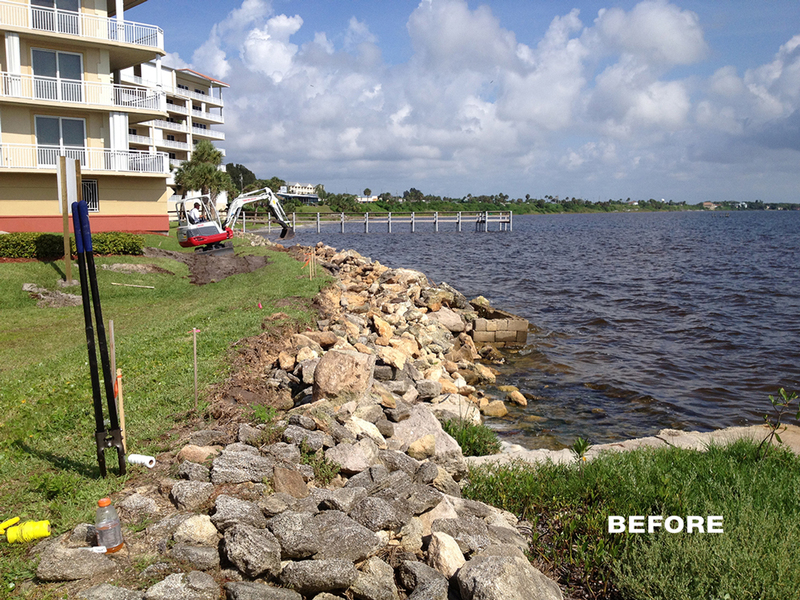 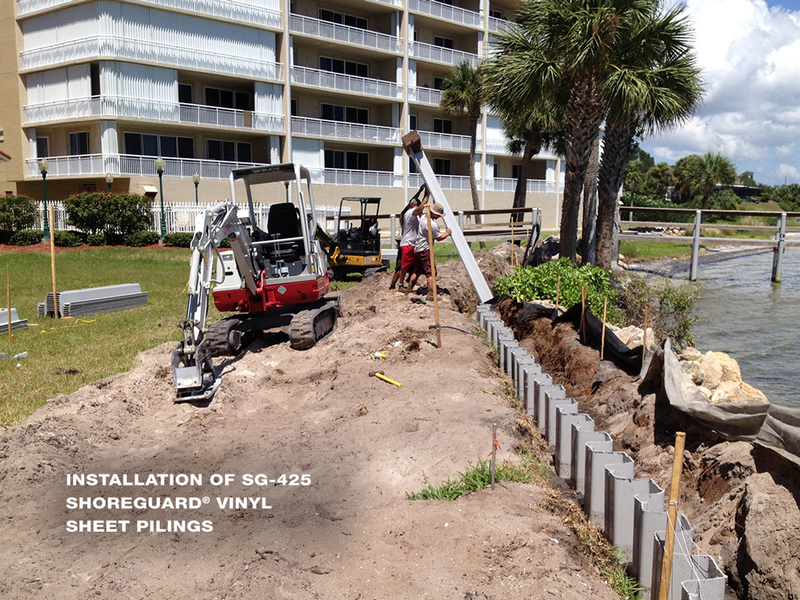 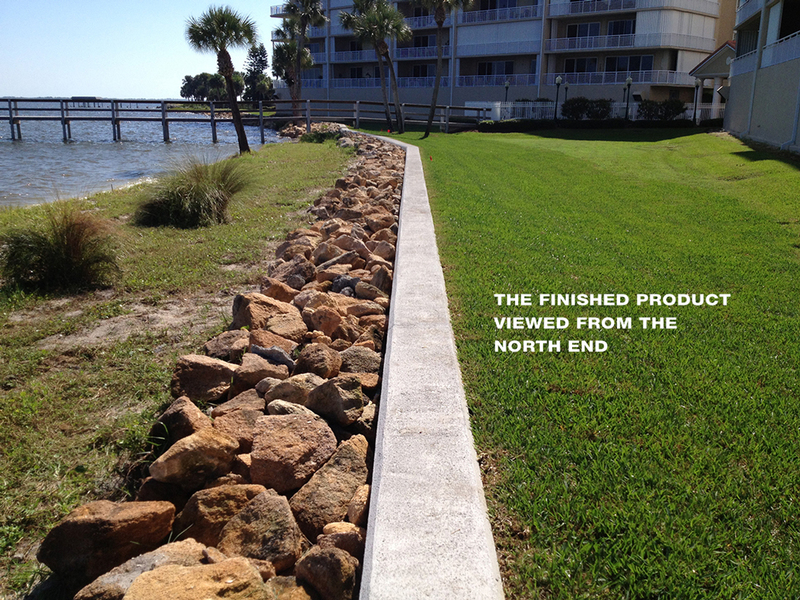 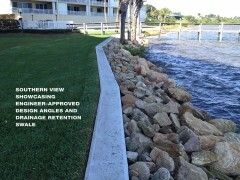 Venetian Bay | Land and Sea Marine, Inc.
Land And Sea Marine has recently installed a new upland retaining wall that will help protect the residents of the Venetian Bay Condominiums in Palm Bay, Florida from catastrophic structural damage during a severe storm or tidal surge. 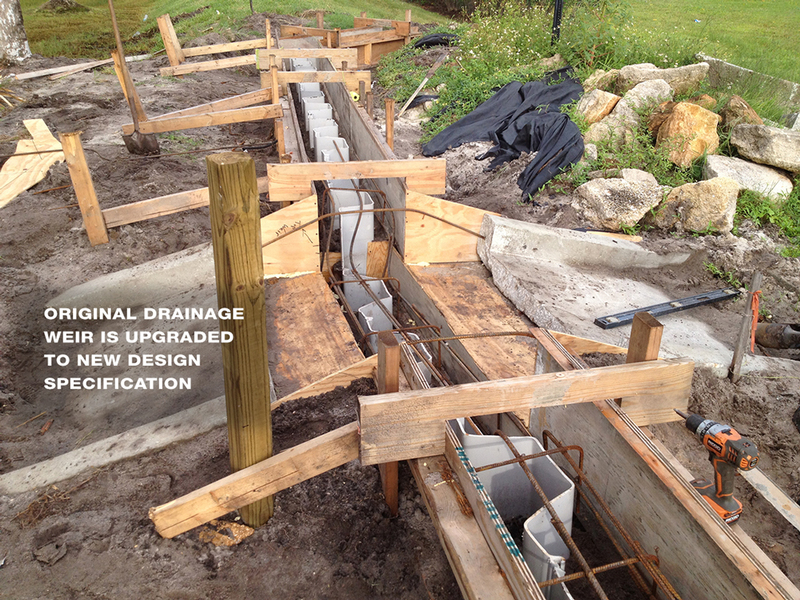 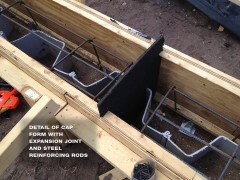 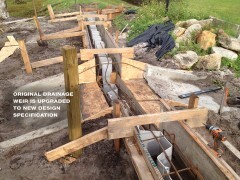 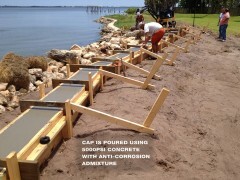 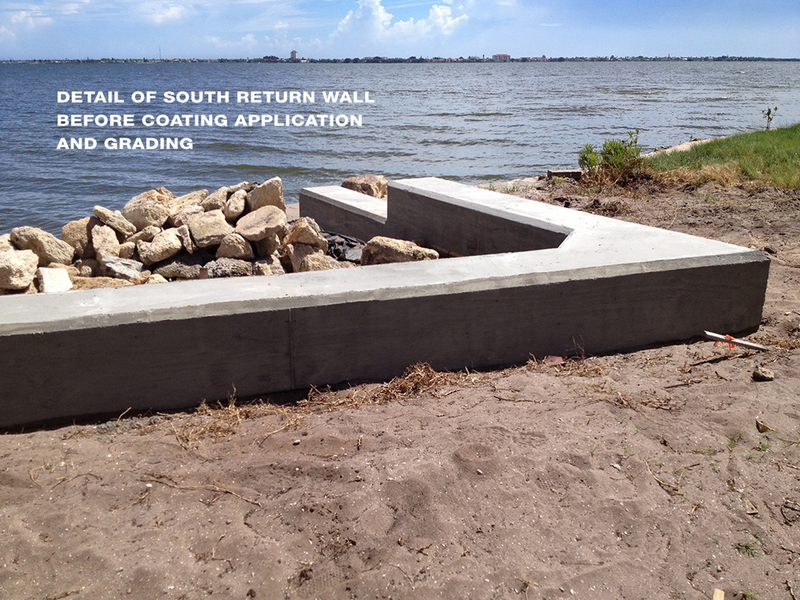 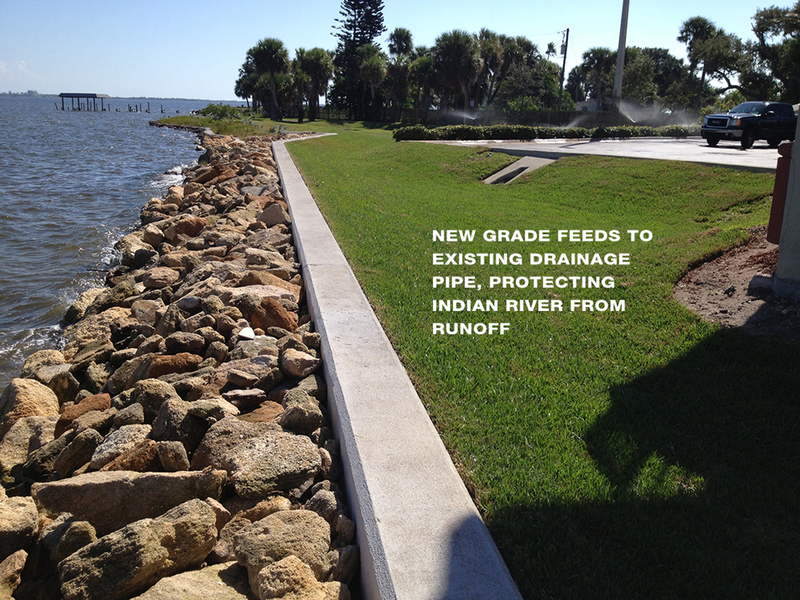 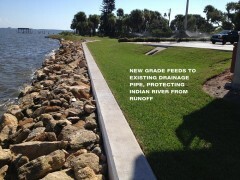 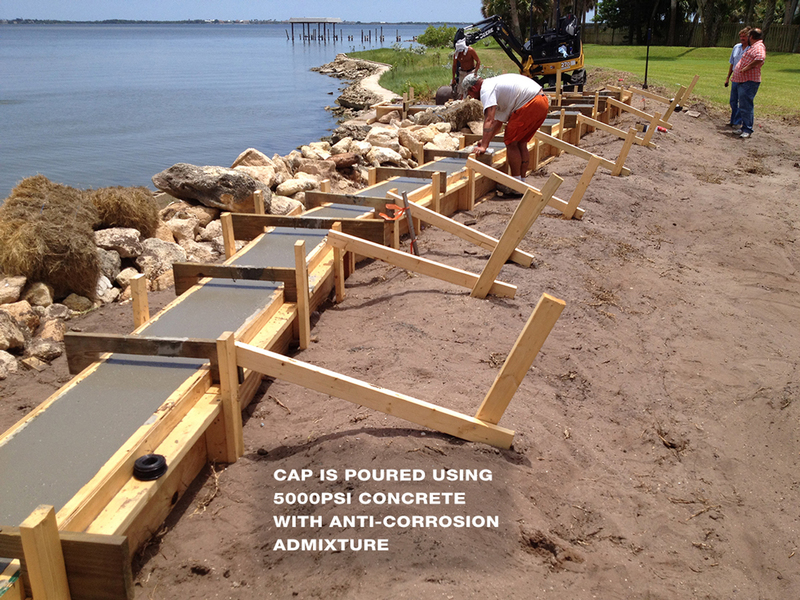 This 584-foot retaining wall was installed using the best materials and methods, and meets or exceeds both the design engineer’s specifications and the drainage retention requirements of the Public Works Engineering Department of the city of Palm Bay Florida. 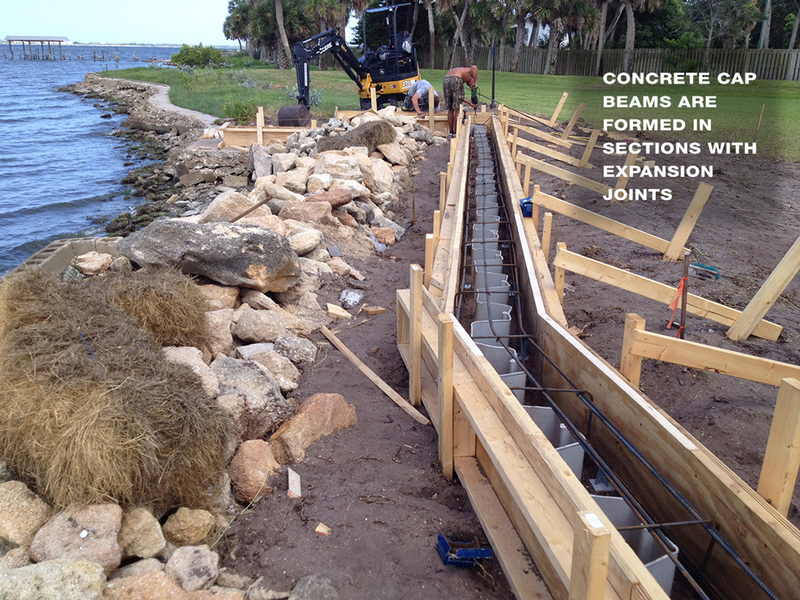 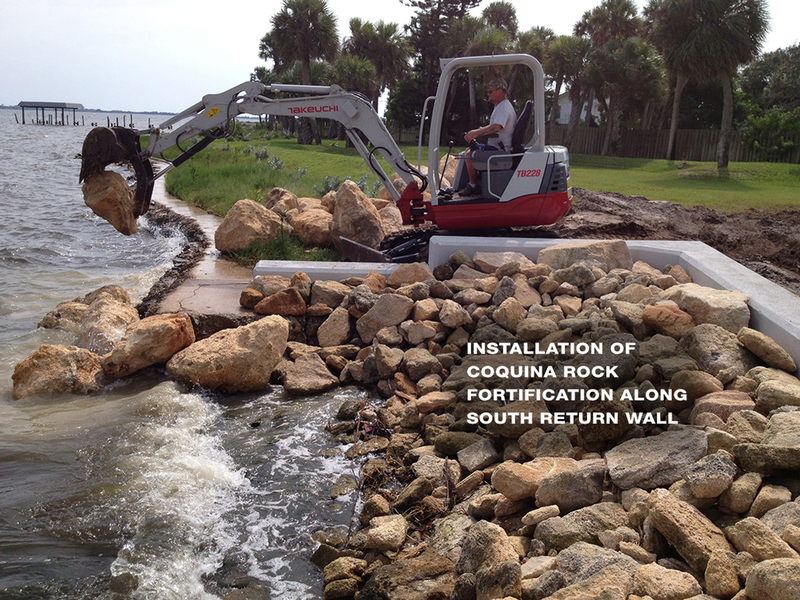 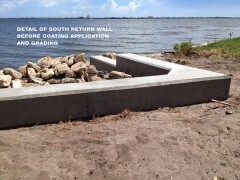 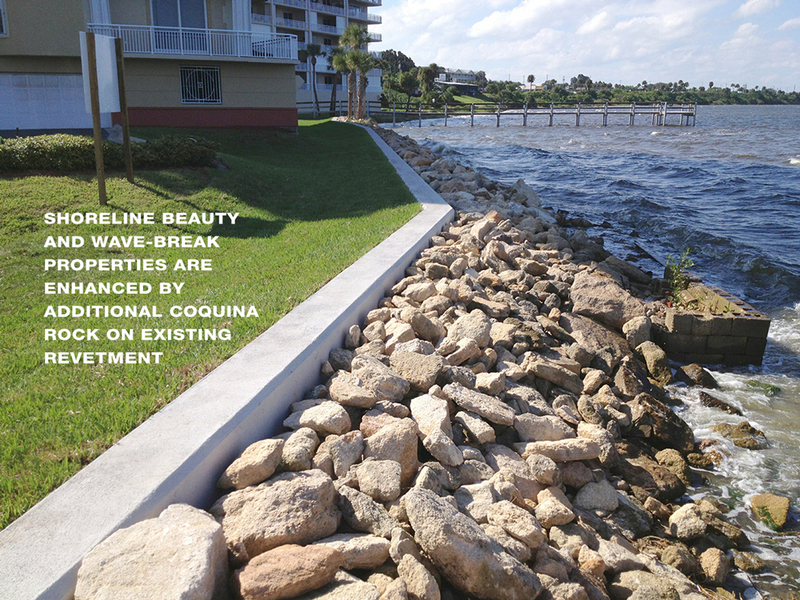 To top off the aesthetic appeal and fortify the wave break properties of the wall, 70 tons of native blonde coquina rock was added to the seaward revetment. 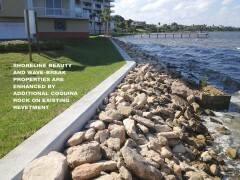 The result—beauty and protection for the residents of Venetian Bay Condominiums—was achieved in only 90 days, in budget and on time.